The best pizza in the world is whatever pizza you were eating when you were 8 years old. That’s because the most important ingredient in pizza isn’t the sauce or the cheese or the mineral content of the water used to make the dough that stretches into that beautiful, crispy crust that all of pizzadom is built upon. No, the most important ingredient in pizza is nostalgia. That’s why so many people who grew up spending summers at the Delaware beaches make a beeline for the nearest Grotto Pizza every time they’re back inside the First State. That legendary taste, as it’s called, isn’t just about the pizza. It’s the taste of a day spent the day splashing in the waves and walking up to the boardwalk with your suit still wet and sand between your toes and ordering a slice under the noon sun, hands smelling of the sea and the salt water and a bit of oil from the pepperoni pizza that mom let you order even though you had pizza got lunch yesterday and the day before that. Good news for those with a Grotto’s urge – it’s not just at the beach. There are Grotto’s all over northern Delaware, and it still tastes just like you remembered it. 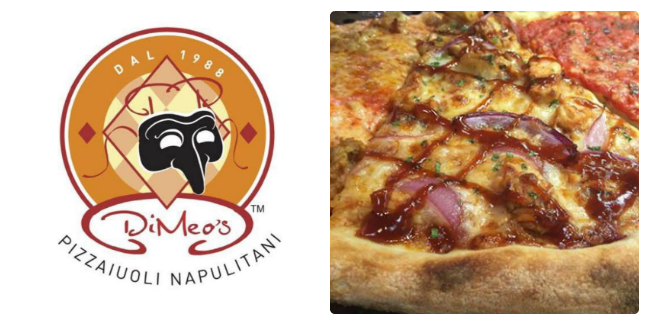 Right on Market Street, across the street from The Grand, DiMeo’s embraces the Napulitan pizza-making tradition, with ingredients flown in weekly from Campania, Naples. Lines get long at lunch, but they serve no slice before its time – and ones that aren’t fresh from the oven actually get reheated properly before they’re served, which earns high praise from those of us who like our crust crisp and our cheese melty. The basic Margherita and Italian-styled pizzas are quite good, but so are their American cousins, the Vesuviana (mozzarella, chicken, barbecue, red onion, cilantro) and the Chipotiello (mozzarella, chicken, chipotle, roasted peppers, cilantro). Garlic lovers take note: The white pizza does not skimp on the good stuff, but beware bringing it back to a small office setting. 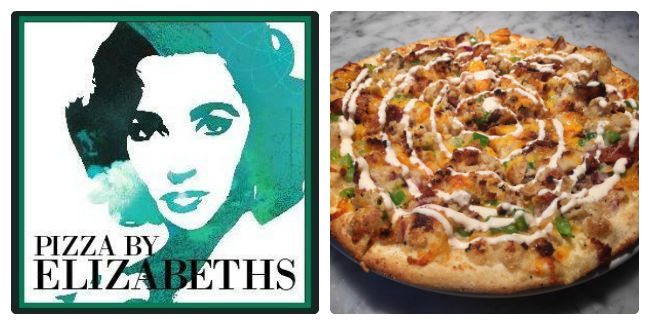 Just down the streets from Hagley Museum & Library and Winterthur Museum,Garden and Library, you’ll find the refined Pizza by Elizabeths. Once primarily a destination for the ladies-who-lunch crowd, PbE broadened its appeal a few years ago with a move, and expansion and an addition of an in-house brewing operation – all the while putting out mighty fine, perfectly polished pizzas, like the Taylor (goat cheese, rosemary onion sauté, sun-dried tomatoes, parmesan, basil, and black olives) the Queen (creamy mushroom duxelles sauce, white chicken chunks, parmesan cheese, and chives) and the Shannon (fig jam, gorgonzola cheese, and thinly sliced prosciutto, garnished with scallions). The toppings options on the “create your own pizza” menu are ridiculously extensive. This is a pizza to drink with wine, and there’s a wine bar is a nice place to eat the pizza. Synergy! 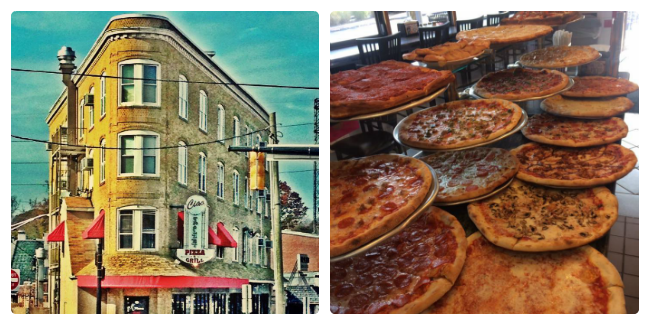 Ciao is beloved by generations of locals who live, work and play (and mostly play) in the Trolley Square neighborhood of Wilmington, but especially among transplants from the New York Pizza Zone to our north. In close proximity to the bars and lounges that make Trolley a nightlife destination, Ciao offers exactly the slice you want before or after a couple beers. That thin, crispy crust reminds me of the pizza I was eating when I was 8 years old, in the Long Island town where I grew up, when we got permission to leave school property and run down a block to the corner pizza shop during lunchtime on Fridays. And there’s nothing like that pizza. Best pizza in the world, I tell you.